You're Donquixote D. (Y.n) . Daughter of Donquixote Rosinante and Monkey D. Yuuki , Garps lost daughter. Infamous for your beauty and skill you pave your way as a solitary pirate, aware of the dangers of your uncle , Doflamingo, as he does not know his little brother had a child. What will happen after you meet the infamous surgeon of death ? Who is your mysterious mother ? Will things go as you wish ? Read to find out . Date & Time , Two Years Of Hard Work. Life has grown increasingly boring for you over the decades. Nothing seems to interest you anymore. The only excitement came from hunting and that was depressingly brief. And then the new guy came. As an ordinary doctor in the Grand Line. One day your island was attacked by pirates. The Heart pirates happened to be around where you stayed and saved your life. Everyone was friendly to you, except the Captain. Will he kill you out of hatred ? Or will hatred turn into love ? "That expression...No fair... I won't be able to stop myself ... I just want to make you all mine." You receive some bad news which results in you getting a computer with a virtual reality system leading to some new friends and romance. This is a slow moving fanfiction with our favourite Surgeon of Death. When I mean slow moving I mean they do not meet until chapter 5. There is also gonna be some darker themes along the line. Character death, original character death, torture, and probably some other stuff but I don't want to spoil. First two chapters are short but then they get longer. I'm actually planning on finishing this. I have a plot and everything. There will be about 56 chapters. I made up the computer games but I got ideas from lots of places so whoever came up with those ideas first owns them I guess. Your a genius craftsman or should I say craftswoman who finds a cave full of glow worms when you were looking for shelter from a storm. A few years later while visiting the cave you run into the Heart Pirates. 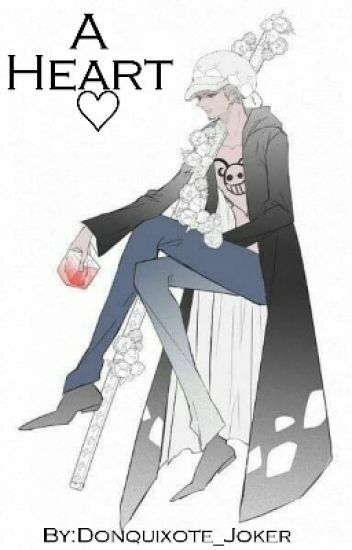 The Famous Surgeon of Death, Trafalgar Law takes an interest in you for a reasons you don't know yet. I don't own One piece or Trafalgar Law. One Piece. Trafalgar Law. Wolves. Say goodbye to boring as you trade your normal life for a world of danger and adventure. I had a dream about this and I've literally just woken up but I absolutely must write about this dream, I was honestly thinking about giving up with writing cause sometimes I get a few rude comments...then I get rude cause don't you sass me you little turd but then I look mean when I retaliate. BUT ANYWAYS, this dream was at the very end and it was beautiful and the part I had been dying for was coming up, the two characters at the end kissing but just as it WAS HAPPENING, I woke up. Can you bloody believe it? So, I'm writing it now and the happy ending WILL happen. I also don't know where this is going...I hadn't thought on how to convert it into One Piece characters, I was too impatient. SO, I'm winging it. I know, I'm terrible huehue. Anyways, hope you enjoy and it'll be rated mature cause you know my potty mouth. And of course, I own not a thing. F/N L/N was forced to eat the devil fruit when she was younger. Her father had given it to her before selling her off. Surprisingly, F/N's father is a high ranked marine. But because of F/N's childhood she grew cold and distant, making her become one of the worst generation pirates. Living up to her expectations, F/N grew a name for herself. People from all around the grand line recognize her as Sinner with a 270 million beli bounty. Trafalgar D. Law bumps into F/N while looting an island that was under attack. This is while he is in an alliance with Luffy. Penguin and Sachi convince captain to tend to her injuries. But will it lead to more than that? Read more to find out! You managed to get yourself into a predicament with Marines and get a rather heavy bounty placed on your head, this has led you to being severely injured by pirates. Luckily for you, you were found by a cute white bear, who is happy to help you. However, you end up being put under the knife by a man who is said to be quite a psychopath. How will he feel about being stuck with a patient as sarcastic as he is? I don't own One Piece or the picture I used for this story. After your parents are murdered, the Donquixote brothers take you in. There you meet Law; besides being a doctor he's also an undercover agent. Please read if you want to know what happens next!